James Ekin was the son of James and Josephine Ekin. James was born in 1897 in Burwood, Sydney, Australia. His father, James Ekin, had worked for many years in the Belfast Bank in Cookstown and Dungannon before emigrating to Australia. By 1910 the family had returned from Australia and were living in London. Private James Ekin served with the Rifle Brigade for a time, Service No. 2/2845. 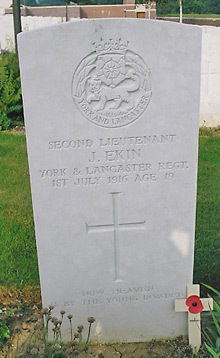 Second Lieutenant James Ekin was serving with the 8th Battalion of the York and Lancaster Regiment when he was killed in action on 1st July 1916. James’ brother, Leslie Montrose Ekin was also serving with the 8th Battalion of the York and Lancaster Regiment and was also killed that day. 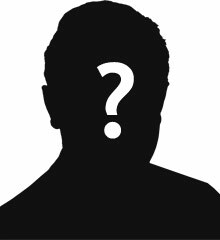 IT SEEMS UNLIKELY THAT ANY OF THE EKIN BROTHERS EVER LIVED IN THE COOKSTOWN AREA.